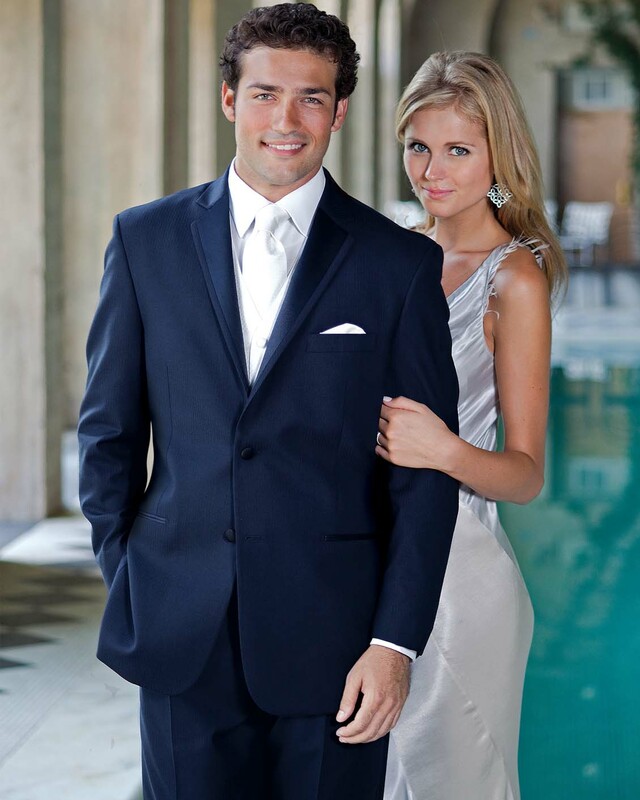 A navy tuxedo is a great alternative to black and softer looking when matching your partner’s dress or accessories. Classic fit jacket with satin notch lapel. Two buttons and side vents. Subtle tone on tone stripe fabric and super 100 wool.